Columbus (/kəˈlʌmbəs/ kə-LUM-bəs) is the state capital of and the most populous city in the U.S. state of Ohio. With a population of 879,170 as of 2017 estimates, it is the 14th-most populous city in the United States and one of the fastest growing large cities in the nation. This makes Columbus the third-most populous state capital in the US (after Phoenix, Arizona and Austin, Texas) and the second-most populous city in the Midwest (after Chicago, Illinois). It is the core city of the Columbus, OH Metropolitan Statistical Area, which encompasses ten counties. 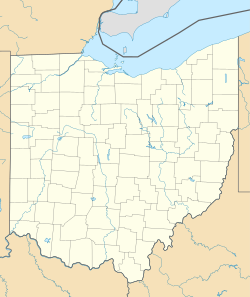 With a population of 2,078,725, it is Ohio's second-largest metropolitan area. Columbus is the county seat of Franklin County. The municipality has also annexed portions of adjoining Delaware, Pickaway and Fairfield counties. Named for explorer Christopher Columbus, the city was founded in 1812 at the confluence of the Scioto and Olentangy rivers, and assumed the functions of state capital in 1816. The city has a diverse economy based on education, government, insurance, banking, defense, aviation, food, clothes, logistics, steel, energy, medical research, health care, hospitality, retail, and technology. Columbus Region is home to the Battelle Memorial Institute, the world's largest private research and development foundation; Chemical Abstracts Service, the world's largest clearinghouse of chemical information; NetJets, the world's largest fractional ownership jet aircraft fleet; and The Ohio State University, one of the largest universities in the United States. As of 2018 the city has the headquarters of four corporations in the U.S. Fortune 500: American Electric Power, Cardinal Health, L Brands, Nationwide, and Big Lots, just out of the top 500. In 2016, Money Magazine ranked Columbus as one of "The 6 Best Big Cities", calling it the best in the Midwest, citing a highly educated workforce and excellent wage growth. In 2012, Columbus was ranked in BusinessWeek's 50 best cities in the United States. In 2013, Forbes gave Columbus an "A" grade as one of the top cities for business in the U.S., and later that year included the city on its list of Best Places for Business and Careers. Columbus was also ranked as the No. 1 up-and-coming tech city in the nation by Forbes in 2008, and the city was ranked a top-ten city by Relocate America in 2010. In 2007, fDi Magazine ranked the city no. 3 in the U.S. for cities of the future, and the Columbus Zoo and Aquarium was rated no. 1 in 2009 by USA Travel Guide. Map of the Ohio Country between 1775–1794 depicting locations of battles and massacres surrounding the area that would eventually become Ohio. After the American Revolution, the Virginia Military District became part of Ohio Country as a territory of Virginia. Colonists from the East Coast moved in, but rather than finding an empty frontier, they encountered people of the Miami, Delaware, Wyandot, Shawnee, and Mingo nations, as well as European traders. The tribes resisted expansion by the fledgling United States, leading to years of bitter conflict. The decisive Battle of Fallen Timbers resulted in the Treaty of Greenville, which finally opened the way for new settlements. By 1797, a young surveyor from Virginia named Lucas Sullivant had founded a permanent settlement on the west bank of the forks of the Scioto River and Olentangy River. An admirer of Benjamin Franklin, Sullivant chose to name his frontier village "Franklinton". The location was desirable for its proximity to navigable rivers—but Sullivant was initially foiled when, in 1798, a large flood wiped out the new settlement. He persevered, and the village was rebuilt. The "Burough of Columbus" [sic] was officially established on February 10, 1816. Nine people were elected to fill the various positions of Mayor, Treasurer, and several others. In 1816-1817, Jarvis W. Pike would serve as the 1st Mayor. Although the recent War of 1812 had brought prosperity to the area, the subsequent recession and conflicting claims to the land threatened the new town's success. Early conditions were abysmal with frequent bouts of fevers and an outbreak of cholera in 1833. The National Road reached Columbus from Baltimore in 1831, which complemented the city's new link to the Ohio and Erie Canal and facilitated a population boom. A wave of European immigrants led to the creation of two ethnic enclaves on the city's outskirts. A large Irish population settled in the north along Naghten Street (presently Nationwide Boulevard), while the Germans took advantage of the cheap land to the south, creating a community that came to be known as the Das Alte Südende (The Old South End). Columbus's German population constructed numerous breweries, Trinity Lutheran Seminary, and Capital University. With a population of 3,500, Columbus was officially chartered as a city on March 3, 1834. On that day the legislature carried out a special act, which granted legislative authority to the city council and judicial authority to the mayor. Elections were held in April of that year, with voters choosing one John Brooks as the first mayor. Columbus annexed the then-separate city of Franklinton in 1837. By virtue of the Morrill Land-Grant Colleges Act, the Ohio Agricultural and Mechanical College (which became The Ohio State University) founded in 1870 on the former estate of William and Hannah Neil. Waterford Tower, shadowed by the Miranova Condominiums in downtown Columbus. By the end of the 19th century, Columbus was home to several major manufacturing businesses. The city became known as the "Buggy Capital of the World," thanks to the two dozen buggy factories—notably the Columbus Buggy Company, founded in 1875 by C.D. Firestone. The Columbus Consolidated Brewing Company also rose to prominence during this time, and might have achieved even greater success were it not for the Anti-Saloon League in neighboring Westerville. In the steel industry, a forward-thinking man named Samuel P. Bush presided over the Buckeye Steel Castings Company. Columbus was also a popular location for labor organizations. In 1886, Samuel Gompers founded the American Federation of Labor in Druid's Hall on S. Fourth Street, and in 1890 the United Mine Workers of America was founded at old City Hall. 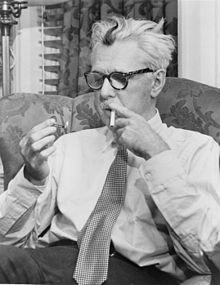 In 1894, James Thurber, who would go on to an illustrious literary career in Paris and New York City, was born in the city. Today the Ohio State's theater department has a performance center named in his honor, and his youthful home near the Discovery District is on the National Register of Historic Places. On March 25, 1913, the Great Flood of 1913 devastated the neighborhood of Franklinton, leaving over ninety people dead and thousands of West Side residents homeless. To prevent flooding, the Army Corps of Engineers recommended widening the Scioto River through downtown, constructing new bridges, and building a retaining wall along its banks. With the strength of the post-World War I economy, a construction boom occurred in the 1920s, resulting in a new Civic center, the Ohio Theatre, the American Insurance Union Citadel, and, to the north, a massive new Ohio Stadium. Although the American Professional Football Association was founded in Canton in 1920, its head offices moved to Columbus in 1921 to the New Hayden Building and remained in the city until 1941. In 1922, the association's name was changed to the National Football League. A decade later, in 1931, at a convention in the city, the Jehovah's Witnesses took that name by which they are known today. The effects of the Great Depression were less severe in Columbus, as the city's diversified economy helped it fare better than its Rust Belt neighbors. World War II brought many new jobs and another population surge. This time, most new arrivals were migrants from the "extraordinarily depressed rural areas" of Appalachia, who would soon account for more than a third of Columbus's growing population. In 1948, the Town and Country Shopping Center opened in suburban Whitehall, and it is now regarded as one of the first modern shopping centers in the United States. Columbus artist James Mason's French Topiary Gardens at the Old Deaf School Park, constructed in 1989 in downtown, was conceptually conceived from Georges Seurat's A Sunday Afternoon on the Island of La Grande Jatte. The construction of the interstate highway signaled the arrival of rapid suburb development in central Ohio. To protect the city's tax base from this suburbanization, Columbus adopted a policy of linking sewer and water hookups to annexation to the city. By the early 1990s, Columbus had grown to become Ohio's largest city in land area and in population. The 2010 United States foreclosure crisis forced the city to purchase numerous foreclosed, vacant properties to renovate or demolish them–at a cost of tens of millions of dollars. As of February 2011, Columbus had 6,117 vacant properties, according to city officials. Charles Lindbergh visited in 1928 for an aviation campaign. In 1907, 14-year-old Cromwell Dixon built the SkyCycle, a pedal-powered blimp, which he flew at Driving Park. Three years later, one of the Wright Brothers' exhibition pilots, Phillip Parmalee, conducted the world's first commercial cargo flight when he flew two packages containing 88 kilograms of silk 70 miles (110 km) from Dayton to Columbus in a Wright Model B. After the war, John Glenn Columbus International Airport became the axis of a coordinated rail-to-air transcontinental system that moved passengers from the East Coast to the West. TAT, which later became TWA, provided commercial service, following Charles Lindbergh's promotion of Columbus to the nation for such a hub. Following the failure of a bond levy in 1927 to build the airport, Lindbergh campaigned in the city in 1928, and the next bond levy passed that year. On July 8, 1929 the airport opened for business with the inaugural TAT west-bound flight from Columbus to Waynoka, Oklahoma. Among the 19 passengers on that flight was Amelia Earhart, with Henry Ford and Harvey Firestone attending the opening ceremonies. In 1964, Ohio native Geraldine Fredritz Mock became the first woman to fly solo around the world, leaving from Columbus and piloting the Spirit of Columbus. Her flight lasted nearly a month, and set a record for speed for planes under 3,858 pounds (1,750 kg). The confluence of the Scioto and Olentangy rivers occurs just north-west of Downtown Columbus. Several smaller tributaries course through the Columbus metropolitan area, including Alum Creek, Big Walnut Creek, and Darby Creek. 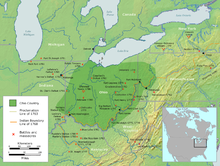 Columbus is considered to have relatively flat topography thanks to a large glacier that covered most of Ohio during the Wisconsin Ice Age. However, there are sizable differences in elevation through the area, with the high point of Franklin County being 1,132 ft (345 m) above sea level near New Albany, and the low point being 670 ft (200 m) where the Scioto River leaves the county near Lockbourne. Numerous ravines near the rivers and creeks also add variety to the landscape. Tributaries to Alum Creek and the Olentangy River cut through shale, while tributaries to the Scioto River cut through limestone. 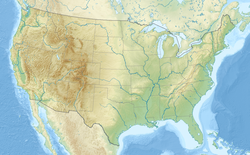 According to the United States Census Bureau, the city has a total area of 223.11 square miles (577.85 km2), of which 217.17 square miles (562.47 km2) is land and 5.94 square miles (15.38 km2) is water. The city's climate is humid continental (Köppen climate classification Dfa) transitional with the humid subtropical climate to the south characterized by warm, muggy summers and cold, dry winters. Columbus is within USDA hardiness zone 6a. Winter snowfall is relatively light, since the city is not in the typical path of strong winter lows, such as the Nor'easters that strike cities farther east. It is also too far south and west for lake-effect snow from Lake Erie to have much effect, although the lakes to the North contribute to long stretches of cloudy spells in winter. The highest temperature recorded in Columbus was 106 °F (41 °C), which occurred twice during the Dust Bowl of the 1930s—once on July 21, 1934, and again on July 14, 1936. 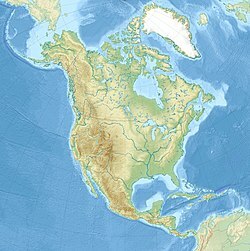 The lowest recorded temperature was −22 °F (−30 °C), occurring on January 19, 1994. (wind chill was −63 °F (−53 °C)). Columbus is subject to severe weather typical to the Midwestern United States. Severe thunderstorms can bring lightning, large hail and on rare occasion tornadoes, especially during the spring and sometimes through fall. A tornado that occurred on October 11, 2006 caused F2 damage. Floods, blizzards, and ice storms can also occur from time to time. As of the 2000 census, 711,470 people, 301,534 households, and 165,240 families lived in the city. The population density was 3,383.6 inhabitants per square mile (1,306.4/km2). There were 327,175 housing units at an average density of 1,556.0 per square mile (600.8/km2). The racial makeup of the city was 67.93% White, 24.47% Black or African American, 0.29% Native American, 3.44% Asian, 0.05% Pacific Islander, 1.17% from other races, and 2.65% from two or more races. 2.46% of the population were Hispanic or Latino of any race. The five most common ancestries reported were German (19.4%), Irish (11.7%), English (7.9%), Polish (7.2%), and Italian (5.0%). There were 301,534 households out of which 28.0% had children under the age of 18 living with them, 36.1% were married couples living together and 45.2% were non-families. 34.1% of all households were made up of individuals and 7.0% had someone living alone who was 65 years of age or older. The average household size was 2.30 and the average family size was 3.01. As of the census of 2010, there were 787,033 people, 331,602 households, and 176,037 families residing in the city. The population density was 3,624.0 inhabitants per square mile (1,399.2/km2). There were 370,965 housing units at an average density of 1,708.2 per square mile (659.5/km2). The racial makeup of the city was 61.5% White, 28.0% African American, 0.3% Native American, 4.1% Asian, 0.1% Pacific Islander, 2.9% from other races, and 3.3% from two or more races. Hispanic or Latino of any race were 5.6% of the population. Columbus has a generally strong and diverse economy based on education, insurance, banking, fashion, defense, aviation, food, logistics, steel, energy, medical research, health care, hospitality, retail, and technology. In 2010, it was one of the 10 best big cities in the country, according to Relocate America, a real estate research firm. MarketWatch ranked Columbus and its metro area as the No. 7 best place in the country to operate a business in 2008. In 2012, Forbes Magazine ranked the city as the best city for working moms. In 2007, the city was ranked No. 3 in the United States by fDi magazine for "Cities of the Future", and No. 4 for most business-friendly in the country. Columbus was ranked as the seventh strongest economy in the United States in 2006, and the best in Ohio, according to Policom Corp. According to the Federal Reserve of St. Louis, the GDP of Columbus in 2016 was $131 billion. During the recession beginning in late 2007, Columbus's economy was not impacted as much as the rest of the country, due to decades of diversification work by long-time corporate residents, business leaders, and political leaders. The administration of former mayor Michael B. Coleman continued this work, although the city faced financial turmoil and had to increase taxes, allegedly due in part to fiscal mismanagement. Because Columbus is the state capital, there is a large government presence in the city. Including city, county, state, and federal employers, government jobs provide the largest single source of employment within Columbus. In 2013, the city had four corporations named to the U.S. Fortune 500 list: Nationwide Mutual Insurance Company, American Electric Power, L Brands, and Big Lots, with Cardinal Health in suburban Dublin. Other major employers in the area include numerous schools (for example, The Ohio State University) and hospitals (among others, the Ohio State University Medical Center and Nationwide Children's Hospital, which are among the teaching hospitals of the Ohio State University College of Medicine), hi-tech research and development including the Battelle Memorial Institute, information/library companies such as OCLC and Chemical Abstracts Service, steel processing and pressure cylinder manufacturer Worthington Industries, financial institutions such as JP Morgan Chase and Huntington Bancshares, as well as Owens Corning. Wendy's and White Castle are also headquartered in Columbus. Major foreign corporations operating or with divisions in the city include Germany-based Siemens and Roxane Laboratories, Finland-based Vaisala, Tomasco Mulciber Inc., A Y Manufacturing, as well as Switzerland-based ABB Group and Mettler Toledo. "Red Art" sculpture conceived by artist Ric Petry, was constructed and standing proud since 2001. The ten story high sculpture is on the CCAD campus and weighs 24,000 lb. Columbus has many notable buildings, including the Greek Revival State Capitol, the art-deco Ohio Judicial Center and the Peter Eisenman-designed Wexner Center and Greater Columbus Convention Center. Other buildings of interest include the Rhodes State Office Tower, LeVeque Tower, and One Nationwide Plaza. The Ohio Statehouse construction began in 1839 on a 10-acre (4 ha) plot of land donated by four prominent Columbus landowners. This plot formed Capitol Square, which was not part of the city's original layout. Built of Columbus limestone from the Marble Cliff Quarry Co., the Statehouse stands on foundations 18 feet (5.5 m) deep, laid by prison labor gangs rumored to have been composed largely of masons jailed for minor infractions. The Statehouse features a central recessed porch with a colonnade of a forthright and primitive Greek Doric mode. A broad and low central pediment supports the windowed astylar drum under an invisibly low saucer dome that lights the interior rotunda. There are several artworks within and outside the building, including the William McKinley Monument dedicated in 1907. Unlike many U.S. state capitol buildings, the Ohio State Capitol owes little to the architecture of the national Capitol. During the Statehouse's 22 year construction, seven architects were employed. Relations between the legislature and the architects were not always cordial: Nathan B. Kelly, who introduced heating and an ingenious system of natural forced ventilation, was dismissed because the commissioners found his designs too lavish for the committee's original intentions. The Statehouse was opened to the legislature and the public in 1857 and completed in 1861. It is at the intersection of Broad and High Streets in downtown Columbus. Within the Driving Park heritage district lies the original home of Eddie Rickenbacker, the World War I fighter pilot ace. Built in 1895, Captain Edward V. Rickenbacker House was designated a National Historic Landmark in 1976. Red Art: Scupture near Columbus Museum of Art on the CCAD campus. The Columbus Museum of Art opened in 1931, and its collection focuses on European and American art up to early modernism that includes extraordinary examples of Impressionism, German Expressionism and Cubism. The Wexner Center for the Arts, a contemporary art gallery and research facility, is on the Campus of The Ohio State University. Also on campus is the Ohio State University Athletics Hall of Fame, in the Jerome Schottenstein Center (home of the basketball and men's ice hockey teams), as well as the Jack Nicklaus museum next door. Located on 88 acres (36 ha), just east of Downtown in Franklin Park, the Franklin Park Conservatory is a botanical garden that opened in 1895. It features over 400 species of plants in a large Victorian style glass greenhouse building that includes rain forest, desert, and Himalayan mountain biomes. The Ohio History Connection is headquartered in Columbus, with its flagship museum, the 250,000-square-foot (23,000 m2) Ohio History Center, 4 mi (6.4 km) north of downtown. Along with the museum is Ohio Village, a replica of a village around the time of the American Civil War. In May 2009, the Lincoln Theatre, formerly a center for Black culture in Columbus, reopened after an extensive restoration. Not far from the Lincoln Theatre is the King Arts Complex, which hosts a variety of cultural events. The city also has several theatres downtown, including the historic Palace Theatre, the Ohio Theatre, and the Southern Theatre. Broadway Across America often presents touring Broadway musicals in these larger venues. The Vern Riffe Center for Government and the Arts houses the Capitol Theatre and three smaller studio theatres, providing a home for resident performing arts companies. Mapfre Stadium, the first soccer-specific stadium in the U.S., and home to Columbus Crew SC. 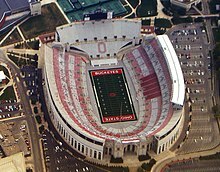 The Ohio Stadium, on the OSU Campus, is the 7th-largest non-racing stadium in the world and one of the largest football stadiums in the United States. Columbus is home to one of the most competitive intercollegiate programs in the nation, the Ohio State Buckeyes of The Ohio State University. The program has placed in the top-10 final standings of the Director's Cup five times since 2000–2001, including No. 3 for the 2002–2003 season and No. 4 for the 2003–2004 season. The university funds 36 varsity teams, consisting of 17 male, 16 female, and three co-educational teams. In 2007–2008 and 2008–2009, the program generated the second-most revenue for college programs behind the Texas Longhorns of The University of Texas at Austin. Columbus hosts the annual Arnold Sports Festival Hosted by Arnold Schwarzenegger, the event has grown to eight Olympic sports and 22,000 athletes competing in 80 events. In conjunction with the Arnold Classic, the city hosted three consecutive Ultimate Fighting Championships events between 2007–2009, as well as other mixed martial arts events. Nick Foligno, captain of the NHL Columbus Blue Jackets. Rahal Letterman Lanigan Racing, a business venture owned by Indianapolis 500 winner Bobby Rahal, television personality David Letterman, and entrepreneur Mike Lanigan, is based in the Columbus area. The Columbus Bullies were two-time champions of the American Football League (1940–1941). The Columbus Thunderbolts were formed in 1991 for the Arena Football League, and then relocated to Cleveland as the Cleveland Thunderbolts; the Columbus Destroyers were the next team of the AFL, playing from 2004 until the league's demise in 2008 and planning a return in 2020. The Columbus and Franklin County Metropolitan Park District includes Inniswood Metro Gardens, a collection of public gardens; Highbanks Metro Park; Battelle-Darby Creek Metro Park; as well as many others. Battelle-Darby Creek Metro Park is notable for its re-introduction of wild bison to the park in 2011, a herd that has grown to 11 bison that are often on view for park visitors. The Big Darby Creek in the southwestern part of town is considered to be especially significant for its ecological diversity. Clintonville is home to Whetstone Park, which includes the Park of Roses, a 13-acre (5.3 ha) rose garden. The Chadwick Arboretum on the OSU campus features a large and varied collection of plants. Downtown, the painting Sunday Afternoon on the Island of La Grande Jatte is represented in topiary at Columbus's Old Deaf School Park. Also near downtown, a new Metro Park on the Whittier Peninsula opened in 2009. The park includes a large Audubon nature center focused on the excellent bird watching the area is known for. The Columbus Zoo and Aquarium's collections include lowland gorillas, polar bears, manatees, Siberian tigers, cheetahs, and kangaroos. Its director emeritus, Jack Hanna, made frequent appearances on national television, including on The Tonight Show and the Late Show with David Letterman. In 2009, it was ranked as the best zoo in the United States, and in 2017 was again ranked as one of the 10 best zoos in the country. Also in the zoo complex is the Zoombezi Bay water park and amusement park. Greek Festival is held in August or September at the Greek Orthodox Church, downtown. The Ohio State Fair and Expo is held in late July to early August. The Short North district hosts the "Gallery Hop" monthly. Around the Fourth of July, Columbus hosts Red, White, and Boom! on the Scioto riverfront downtown, attracting crowds of over 500,000 people and featuring the largest fireworks display in Ohio. The Doo Dah Parade is also held at this time. During Memorial Day Weekend, the Asian Festival is held in Franklin Park. Hundreds of restaurants, vendors, and companies open up booths, traditional music and martial arts are performed, and cultural exhibits are set up. The Short North also hosts HighBall Halloween, Masquerade on High, a fashion show and street parade that closes down High Street. In 2011, in its fourth year, HighBall Halloween gained notoriety as it accepted its first Expy award. HighBall Halloween has much to offer for those interested in fashion and the performing and visual arts or for those who want to celebrate Halloween and with food and drinks from all around the city. Each year the event is put on with a different theme. Columbus also hosts many conventions in the Greater Columbus Convention Center, a pastel-colored deconstructivist building on the north edge of downtown that resembles jumbled blocks, or a train yard from overhead. Completed in 1993, the 1,700,000 square feet (160,000 m2) convention center was designed by architect Peter Eisenman, who also designed the Wexner Center. The city is administered by a mayor and a seven-member unicameral council elected in two classes every two years to four-year terms. The mayor appoints the director of safety and the director of public service. The people elect the auditor, municipal court clerk, municipal court judges and city attorney. A charter commission, elected in 1913, submitted, in May 1914, a new charter offering a modified Federal form, with a number of progressive features, such as nonpartisan ballot, preferential voting, recall of elected officials, the referendum, and a small council elected at large. The charter was adopted, effective January 1, 1916. Andrew Ginther has been the mayor of Columbus since 2016. The Strategic Analysis and Information Center (SAIC) fusion center, one of the few in the country that uses state, local, federal, and private resources, is the primary public intelligence hub in the state and located in the Hilltop neighborhood. Columbus City Schools (CCS), formerly Columbus Public Schools, is the largest district in Ohio, with 55,000 pupils. CCS operates 142 elementary, middle, and high schools, including a number of magnet schools (which are referred to as alternative schools within the school system). The suburbs operate their own districts, typically serving students in one or more townships, with districts sometimes crossing municipal boundaries. The Roman Catholic Diocese of Columbus also operates several parochial elementary and high schools. The area's second largest school district is South-Western City Schools, which encompasses southwestern Franklin County. There are also several private schools in the area. St. Paul's Lutheran School is a K-8 Christian school of the Wisconsin Evangelical Lutheran Synod in Columbus. Some sources claim the first kindergarten in the United States was established here by Louisa Frankenberg, a former student of Friedrich Fröbel. Frankenberg immigrated to the city in 1838. In addition, Indianola Junior High School (now the Graham Expeditionary Middle School) became the nation's first junior high in 1909, helping to bridge the difficult transition from elementary to high school at a time when only 48% of students continued their education after the 9th grade. The Columbus Metropolitan Library (CML) has been serving residents of central Ohio since 1873. With a collection of 3 million items, the system has 22 locations throughout the area. This library is one of the country's most-used library systems and is consistently among the top-ranked large city libraries according to "Hennen's American Public Library Ratings." CML was rated the No. 1 library system in the nation in 1999, 2005, and 2008. It has been in the top four every year since 1999 when the rankings were first published in American Libraries magazine, often challenging up-state neighbor Cuyahoga County Public Library for the top spot. CML was named Library of the Year by the Library Journal in 2010. Map showing radio market areas in Ohio. Columbus has numerous pedestrian skywalks linking together downtown buildings. The city's street plan originates downtown and extends into the old-growth neighborhoods, following a grid pattern with the intersection of High Street (running north–south) and Broad Street (running east–west) at its center. North-South streets run 12 degrees west of due North, parallel to High Street; the Avenues (vis. Fifth Avenue, Sixth Avenue, Seventh Avenue, and so on.) run east–west. The address system begins its numbering at the intersection of Broad and High, with numbers increasing in magnitude with distance from Broad or High. Numbered Avenues begin with First Avenue, about 1 1⁄4 mi (2.0 km) north of Broad Street, and increase in number as one progresses northward. Numbered Streets begin with Second Street, which is two blocks west of High Street, and Third Street, which is a block east of High Street, then progress eastward from there. Even-numbered addresses are on the north and east sides of streets, putting odd addresses on the south and west sides of streets. A difference of 700 house numbers means a distance of about 1 mi (1.6 km) (along the same street). For example, 351 W 5th Avenue is approximately 1⁄2 mi (800 m) west of High Street on the south side of Fifth Avenue. Buildings along north–south streets are numbered in a similar manner: the building number indicates the approximate distance from Broad Street, the prefixes 'N' and 'S' indicate whether that distance is to measured to the north or south of Broad Street and the street number itself indicates how far the street is from the center of the city at the intersection of Broad and High. Columbus is bisected by two major Interstate Highways, Interstate 70 running east–west, and Interstate 71 running north to roughly southwest. The two Interstates combine downtown for about 1.5 mi (2.4 km) in an area locally known as "The Split", which is a major traffic congestion point within Columbus, especially during rush hour. U.S. Route 40, originally known as the National Road, runs east–west through Columbus, comprising Main Street to the east of downtown and Broad Street to the west. U.S. Route 23 runs roughly north–south, while U.S. Route 33 runs northwest-to-southeast. The Interstate 270 Outerbelt encircles the vast majority of the city, while the newly redesigned Innerbelt consists of the Interstate 670 spur on the north side (which continues to the east past the Airport and to the west where it merges with I-70), State Route 315 on the west side, the I-70/71 split on the south side, and I-71 on the east. Due to its central location within Ohio and abundance of outbound roadways, nearly all of the state's destinations are within a 2 or 3 hour drive of Columbus. The Columbus riverfront hosts a few notable bridges which have been built since 2000. The 700 ft (210 m) Main Street Bridge opened on July 30, 2010 and is the first bridge of its kind in North America. The bridge is directly south of COSI on the Scioto river, featuring three lanes of traffic (one westbound and two eastbound) and another separated lane for pedestrians and bikes. The Rich Street Bridge opened in July 2012 and is adjacent to the Main Street Bridge connecting Rich Street on the east side of the river with Town Street on the west. The Lane Avenue Bridge is a cable-stayed bridge that opened on November 14, 2003 in the University District and spans the Olentangy river with three lanes of traffic each way. The city's primary airport, John Glenn International Airport (CMH), is on the city's east side, with several smaller airports in the region as well. John Glenn, formerly known as Port Columbus, provides service to Toronto, Canada and Cancun, Mexico (on a seasonal basis), as well as to most domestic destinations, including all the major hubs along with San Francisco, Salt Lake City, and Seattle by June 2019. The airport was a hub for discount carrier Skybus Airlines and continues to be a home to NetJets, the world's largest fractional ownership air carrier. According to a 2005 market survey, John Glenn Columbus International Airport attracts about 50% of its passengers from outside of its 60-mile (97 km) radius primary service region. It is the 52nd-busiest airport in the United States by total passenger boardings. Rickenbacker International Airport, in southern Franklin County, is a major cargo facility and is utilized by the Ohio Air National Guard. Allegiant Air offers nonstop service from Rickenbacker to various Florida destinations. Ohio State University Don Scott Airport and Bolton Field are significant general-aviation facilities in the Columbus area. As of 2009, plans for the Ohio Hub project proposed a high-speed rail service connecting Columbus with Cincinnati and to a proposed hub in Cleveland and onward to the east. As of 2018, the project remained unfunded. Cycling as transportation is steadily increasing in Columbus with its relatively flat terrain, intact urban neighborhoods, large student population, and off-road bike paths. The city has put forth the 2012 Bicentennial Bikeways Plan as well as a move toward a Complete Streets policy. Grassroots efforts such as Bike To Work Week, Consider Biking, Yay Bikes, Third Hand Bicycle Co-op , Franklinton Cycleworks, and Cranksters, a local radio program focused on urban cycling, have contributed to cycling as transportation. The city has its own public bicycle system. CoGo Bike Share system has a network of 335 bicycles and 41 docking stations (2016). PBSC Urban Solutions, a company based in Canada, supplies technology and equipment. Bird electric scooters have also been introduced. ^ "Ohio STEM Learning Network / Columbus". Archived from the original on November 29, 2014. Retrieved June 21, 2010. ^ "A century ago, Columbus was the nation's 'Arch City'". Archived from the original on July 18, 2011. Retrieved June 21, 2010. ^ "Columbus was once known as 'Arch City'". Archived from the original on January 2, 2013. Retrieved June 21, 2010. ^ "Indie Art Capital = It's Official". Retrieved June 21, 2010. ^ Gapp, Paul (March 29, 1980). "The American City – Challenge of The '80s". Chicago Tribune. pp. 1, 10–11. ^ "Like it or not, Cbus now city's nicknames". Retrieved February 28, 2014. ^ "City Council", City of Columbus.Retrieved November 13, 2015. ^ "Population Estimates". United States Census Bureau. Retrieved May 19, 2016. ^ "Zip Code Lookup". USPS. Archived from the original on September 3, 2007. Retrieved November 15, 2014. ^ Neese, Alissa Widman. 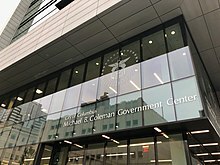 "Columbus retains position as 14th-largest city, for now". The Columbus Dispatch. Retrieved May 24, 2018. ^ Rinehart, Earl. "We're No. 14! Columbus tops Indianapolis in population". ^ "columbus-population-keeps-rising" Columbus Dispatch. 2014. ^ Bureau, US Census. "The South Is Home to 10 of the 15 Fastest-Growing Large Cities". ^ Bureau, US Census. "The South Is Home to 10 of the 15 Fastest-Growing Large Cities". The United States Census Bureau. Retrieved May 25, 2017. ^ a b "Population Estimates". United States Census Bureau. Retrieved May 19, 2016. ^ Population in Metropolitan and Micropolitan Statistical Areas Ranked by 2000 Population for the United States and Puerto Rico: 1990 and 2000 (PDF). U.S. Census Bureau. December 30, 2003. Retrieved on 2007-11-20 from https://www.census.gov/population/cen2000/phc-t29/tab03a.pdf. ^ "2 counties added to Columbus metro area" Columbus Dispatch. 2013. Retrieved April 16, 2014. ^ "Places in Franklin County, OH". Find a County. National Association of Counties. Archived from the original on June 16, 2008. Retrieved April 13, 2010. ^ a b "Fortune 500 features 5 Central Ohio companies, down from 6 last year", Columbus Business First. 2013. Retrieved June 25, 2013. ^ "The 6 Best Big Cities". MONEY.com. Retrieved June 16, 2017. ^ "America's 50 Best Cities – The Best Places to Live – Business Week". Images.businessweek.com. Retrieved March 15, 2013. ^ "Columbus, Ohio", Forbes. Accessed June 25, 2013. ^ "Top 10 Up-And-Coming Tech Cities", William Pentland. Forbes Magazine. March 10, 2008. Retrieved September 5, 2010. ^ "10 Best Big Cities" Archived August 5, 2008, at the Wayback Machine, CNN Money, Retrieved January 9, 2010. ^ a b "Ranking: Columbus among top 10 big cities", BizJournals. Retrieved April 22, 2010. ^ a b "Location Overview" Archived February 24, 2012, at the Wayback Machine, Ohio Equities, Retrieved November 13, 2009. ^ a b "The Top 10 Zoos in America". USA Travel Guide. February 10, 2009. Archived from the original on January 5, 2010. Retrieved January 26, 2010. ^ "Chapter One: The Anglo-French Contest for the Ohio Country", Pennsylvania Historical and Museum Commission. Retrieved September 10, 2010. ^ Jennings, Francis (1984). The Ambiguous Iroquois Empire: The Covenant Chain Confederation of Indian Tribes with English Colonies from Its Beginnings to the Lancaster Treaty of 1744 (reprint ed.). Norton. p. 351. ISBN 9780393303025. Retrieved May 26, 2016. ^ Google Books. Books.google.com. April 26, 2006. Retrieved March 15, 2013. ^ Cole, Charles Chester (2001). A Fragile Capital: Identity and the Early Years of Columbus, Ohio. Ohio State University Press. pp. 193–204. ISBN 9780814208533. ^ "Columbus Buggy Company". touringohio.com. Retrieved April 7, 2017. ^ "NFL History". CBS Sportsline.com. Archived from the original on April 10, 2016. Retrieved December 24, 2006. ^ Schneider, Keith (May 31, 2016). "Open Spaces Bring Light to Downtown Columbus". The New York Times. ISSN 0362-4331. Retrieved June 16, 2017. ^ Ferenchik, Mark (February 26, 2011). "City spends millions renovating, demolishing eyesore properties". The Columbus Dispatch. Archived from the original on February 28, 2011. Retrieved February 27, 2011. ^ a b c d "75 Years of Flight in Columbus", Port Columbus International Airport. Retrieved July 3, 2012. ^ "History of Air Cargo and Airmail from the 18th Century", Camille Allaz. 2005. ISBN 0-9548896-0-6, ISBN 978-0-9548896-0-9. ^ Lyon, C.C. (March 30, 1919). "Six Columbus, O., Airmen Shot Down 42 Hun Planes". The Washington Herald. Washington, DC. Retrieved August 10, 2015 – via Newspapers.com. ^ a b Ringle, Dean C. (2007). "Franklin County Ohio Road Map & Street Locator". Franklin County, Ohio: Franklin County Engineer. ^ a b Records for Columbus. Archived December 21, 2014, at the Wayback Machine National Weather Service. Retrieved on 2008-11-16. ^ Tullis, Matt; Mark Ferenchik (October 13, 2006). "Ruin, relief and rebuilding Tornado aftermath". The Columbus Dispatch. pp. NEWS 01A. ^ "Station Name: OH COLUMBUS PORT COLUMBUS INTL AP". National Oceanic and Atmospheric Administration. Retrieved March 30, 2013. ^ "NowData - NOAA Online Weather Data". National Oceanic and Atmospheric Administration. Retrieved February 27, 2017. ^ "Records for Columbus". National Weather Service. Retrieved February 27, 2017. ^ "WMO Climate Normals for COLUMBUS WSO AP, OH 1961–1990". National Oceanic and Atmospheric Administration. Retrieved March 11, 2014. ^ United States Census Bureau. "Census of Population and Housing". Archived from the original on April 22, 2013. Retrieved November 15, 2014. ^ "Columbus (city), Ohio". State & County QuickFacts. U.S. Census Bureau. Archived from the original on July 10, 2014. ^ Pyle, Encarnacion (March 14, 2006). "Columbus becoming a mini melting pot". The Columbus Dispatch. pp. News 01A. ^ a b "Capacity Building Initiative: Immigrant and Refugee Organizations" Archived May 14, 2013, at the Wayback Machine, Columbus Foundation. 2006. Retrieved July 3, 2012. ^ "Dalayad Haji Hashi Jama, 72; Somalia's Former First Lady". Los Angeles Times. July 31, 2004. Retrieved June 10, 2016. ^ Wolf, Barnet D. (December 5, 2006). "Fresch Approach Long John Silver's test site tries grilling on for size". The Columbus Dispatch. ^ "Columbus, Ohio (OH) Detailed Profile". City-Data.com. Retrieved May 5, 2009. ^ "2013 Japanese Direct Investment Survey: Summary of Ohio Results (as of October 1, 2013)" (Archive). Consulate-General of Japan in Detroit. March 5, 2014. Retrieved on June 17, 2014. ^ Eaton, Dan. "Japanese companies added 2,700 Ohio jobs in 2013, survey finds." Columbus Business First. March 10, 2014. Retrieved on June 13, 2014. ^ "Columbus Religion", Sperling's BestPlaces, Retrieved January 9, 2010. ^ "Welcome to St. Paul's!". ^ Market Watch, Best Places to do business Retrieved July 26, 2009. ^ Forbes, Best Cities for Working Mothers, Forbes, Retrieved October 12, 2012. ^ "Study: Columbus has Ohio's best economy", Columbus Biz Journals, Retrieved January 9, 2010. ^ "Recount Still Possible" Archived July 17, 2011, at the Wayback Machine, This Week Community Papers, Retrieved November 13, 2009. ^ NBC 4, Columbus Budget Shortfall, Tax Increase Retrieved July 26, 2009. ^ "Top 100 U.S. metro economies" Archived June 3, 2010, at WebCite, U.S. Conference of Mayors. Retrieved April 22, 2010. ^ "Ohio Statehouse Facts". December 13, 2006. Archived from the original on July 5, 2007. ^ "The Jefferson Center". October 13, 2006. ^ "Captain Edward V. Rickenbacker House". National Historic Landmark summary listing. National Park Service. Archived from the original on June 6, 2011. Retrieved November 6, 2010. ^ "Columbus Museum of Art | Columbus OH Arts & Events". Columbusarts.com. Archived from the original on January 20, 2013. Retrieved March 15, 2013. ^ "Franklin Park Conservatory - Welcome to Franklin Park Conservatory and Botanical Gardens". www.fpconservatory.org. Retrieved June 16, 2017. ^ Cicero, Karen. "The 10 Best Science Centers". Parents. Retrieved October 27, 2011. ^ Columbus City Ballet School Retrieved July 26, 2009. ^ Siegel, Jim (August 19, 2006). "Theater's future about more than politics, mayor says". The Columbus Dispatch. pp. News 05D. ^ Siegel, Jim (December 5, 2006). "State readies projects budget". The Columbus Dispatch. pp. News 01D. ^ Ohio Theatre, History of Shows Retrieved July 26, 2009. ^ Film Columbus, Movies filmed in Columbus metropolitan area Archived February 21, 2009, at the Wayback Machine Retrieved July 26, 2009. ^ "The Comprehensive Guide to Careers in Sports", Glenn Wong. Jones & Bartlett Learning, 2008. ISBN 0-7637-2884-5, ISBN 978-0-7637-2884-7. ^ "Professional rugby team to begin play in Obetz in April". The Columbus Dispatch. Retrieved March 24, 2016. ^ "Top Ten Biggest Sports Stadiums In The World", Top Ten Land. 2007. Retrieved September 6, 2010. ^ "Stanford has built the nation's most successful athletics program", John Reid. Mercury News. June 22, 2010. Retrieved September 6, 2010. ^ "About Ohio State Athletics", Ohio State University. 2010. Retrieved September 6, 2010. ^ "Report: OSU No. 2 for sports revenue", BizJournals. June 15, 2009. Retrieved September 6, 2009. ^ "Big Ten expansion: E-mails hint eyes are upon Texas" Archived August 19, 2010, at the Wayback Machine, Bill Rabinowitz. Columbus Dispatch. June 4, 2010. Retrieved September 6, 2010. ^ "ESPN.go.com". ESPN.go.com. Retrieved March 15, 2013. ^ Biz Journals, George Steinbrenner Retrieved July 28, 2009. ^ Arnold Schwarzenegger: A Biography Retrieved July 26, 2009. ^ "All American Quarter Horse Congress"[permanent dead link], Experience Columbus. 2009. Retrieved September 6, 2010. ^ "Motor Sports, 24 Hour Race, Columbus Driving Park". Motorsport.com. March 15, 2005. Archived from the original on November 16, 2008. Retrieved March 15, 2013. ^ "The Buckeye Bullet 2" Archived September 4, 2010, at the Wayback Machine, Green Muze. August 31, 2010. Retrieved September 5, 2010. ^ "Battelle Darby Creek - Metro Parks - Central Ohio Park System". Metro Parks - Central Ohio Park System. Retrieved June 16, 2017. ^ "Wild Bison at the Battelle Darby Creek MetroPark | Choosy Traveler". Choosy Traveler. Retrieved June 16, 2017. ^ "Big Darby Creek Watershed". November 23, 2006. Archived from the original on August 7, 2008. Retrieved May 2, 2009. ^ Gebolys, Debbie (November 16, 2006). "Grange donating $4 million". The Columbus Dispatch. pp. Business 01G. ^ "5 Largest Zoos In The United States". May 6, 2016. Retrieved November 10, 2017. ^ "The 10 Best Zoos in the U.S." Conde Nast Traveler. July 19, 2017. Retrieved February 2, 2019. ^ Robison, Elwin (1994). "Eisenman's chip-board fantasy: The Greater Colombus Convention Center, Columbus, Ohio". Archived from the original on September 26, 2007. Retrieved September 25, 2007. ^ Showalter, Kathy (March 3, 2003). "New owners poised to revive Westland". Columbus Business First. Retrieved April 1, 2013. ^ New International Encyclopedia. Volume 5 (Second ed.). Dodd and Mead. 1914. p. 637. ^ NBC 4, Columbus Police Helicopters Archived January 20, 2013, at the Wayback Machine Retrieved July 3, 2012. ^ "CQ Press Crime Ranking 2009" (PDF). November 24, 2006. ^ "Ohio's Capital City Sees Dip in Homicides in 2011". NBC 4 – Columbus. January 1, 2012. Archived from the original on January 20, 2013. Retrieved July 3, 2012. ^ Decker, Theodore (June 12, 2012). "City's crime numbers drop". Columbus Dispatch. Retrieved July 3, 2012. ^ U.S. News and Reports, Best Colleges Archived August 26, 2009, at the Wayback Machine Retrieved July 26, 2009. ^ Ohio State University, News Release Archived July 29, 2009, at the Wayback Machine Retrieved July 26, 2009. ^ "Columbus City Schools – Employment Website". Columbus City Schools. Archived from the original on October 10, 2007. Retrieved September 25, 2007. ^ "Get to Know St. Paul's". ^ "Ohio History Central". Ohio History Central. Retrieved March 15, 2013. ^ Phillips, Jeb (October 5, 2005). "Check it out: Columbus Library notches no. 1 rating". The Columbus Dispatch. pp. News 01B. ^ "HAPLR 100 for 1999 to 2006". Hennen's American Public Library Ratings. 1999–2006. Retrieved May 3, 2007. ^ "Nick History". Viacom. Archived from the original on September 30, 2007. Retrieved September 25, 2007. ^ "iTV | Warner's Qube". Media Visions. Retrieved February 13, 2012. ^ "Main Street Bridge: Steel Structure Makes Dramatic Visual Impact on Downtown Columbus Skyline". Downtown Columbus. Archived from the original on January 6, 2009. Retrieved August 6, 2010. ^ The Columbus Dispatch (July 2, 2012). "Fireworks spectators first to use Rich Street bridge | The Columbus Dispatch". Dispatch.com. Retrieved March 15, 2013. ^ "Rich Street Bridge Replacement" (PDF). City of Columbus. Archived from the original (PDF) on December 22, 2009. Retrieved August 6, 2010. ^ "Regional Airports economic impact study, Wilbur Smith Associates, Inc., January 2005, Chap 1 pp2-4" (PDF). Archived from the original (PDF) on January 20, 2013. Retrieved July 5, 2012. ^ "Columbus Union Station". October 13, 2006. Archived from the original on October 28, 2006. ^ "Metropolitan Areas Served by Amtrak". November 23, 2006. Retrieved May 2, 2009. ^ "Phoenix debuts light-rail system". December 27, 2008. Archived from the original on December 31, 2008. ^ Columbus Dispatch, High Speed Rail Retrieved July 26, 2009. ^ "Columbus (OH) Bikeways Plan". Altaprojects.net. Retrieved May 5, 2009. ^ "Public Service Home". publicservice.columbus.gov. ^ Reed, Michael. "About Us | Yay Bikes! | Columbus, Oh". Yay Bikes!. Archived from the original on August 5, 2012. Retrieved July 5, 2012. ^ "Third Hand Bike Co-Op". Retrieved June 22, 2017. ^ WCRS LP Columbus Community Radio (November 15, 2008). "Cranksters | WCRS LP Columbus Community Radio". Wcrsfm.org. Retrieved May 5, 2009. ^ "Critical Mass Columbus". Comacrew.homestead.com. Retrieved May 5, 2009. ^ "Meet CoGo Bike Share". www.cogobikeshare.com. Retrieved September 7, 2016. ^ Austen, Ian (January 9, 2015). "The Uphill Push to Save a Bike-Share Pioneer". The New York Times. ISSN 0362-4331. Retrieved September 7, 2016. ^ "Bird electric scooters now in Columbus: What are they, are they legal and could they come to Cleveland?". cleveland.com. Retrieved October 17, 2018. ^ "SCI: Sister City Directory". Sister Cities International. Archived from the original on August 21, 2014. Retrieved August 20, 2014. ^ Franken, Harry (1991). Columbus: The Discovery City. Chatsworth, CA: Windsor Publications. p. 22. ISBN 0-89781-397-9. ^ "Curitiba, Paraná, Brazil". Greater Columbus Sister Cities Int'l. September 16, 2014. ^ Mark Ferenchik. "Ceremony makes Accra, Ghana, a sister city to Columbus". The Columbus Dispatch. Retrieved March 24, 2016. Lentz, Ed (2003). Columbus: The Story of a City. Making of America series. Arcadia Publishing. ISBN 9780738524290. Moore, Opha (1930). History of Franklin County Ohio. Topeka-Indianapolis: Historical Publishing Company. Cole, Charles Chester (2001). A Fragile Capital: Identity and the Early Years of Columbus, Ohio. Columbus, Ohio: Ohio State University Press. ISBN 9780814208533. Hunker, Henry L. (2000). Columbus, Ohio: A Personal Geography. Ohio State University Press. ISBN 9780814208571. Meyers, David; Walker, Elise Meyers; Vollmer, Nyla (2017). Carrying Coal to Columbus: Mining in the Hocking Valley. Arcadia Publishing. ISBN 9781625858122. "Columbus, Ohio". C-SPAN Cities Tour. A program that featured the history of and literary life in Columbus. The program aired on September 1–2, 2012.